SpringBoard Incubators is passionate about helping others become successful entrepreneurs. The main benefit of an incubator is to provide the essential services that helps startup businesses through the hurdles that they will face and help them to be successful. SpringBoard provides hi-speed Internet access, private meeting rooms, conference rooms and collaborative spaces to host events. Startup can also expect workshops to help guide and grow their business. A work space is more than just a desk and chair. SpringBoard tenants will experience an environment that fosters collaboration and innovation. Stocked with modern amenities you will feel right at home. Our business workshops are designed to coach startups and existing businesses alike in best practices for success. We focus on business planning, strategy and execution providing key insights to all our tenants. Our community events invite successful business leaders to share their stories in a forum that gives back to young entrepreneurs. Join us as we keep the conversation current and relevant. Our computer science program is a key component in our mission. It provides a balance on foundational theories as well as critical thinking work shops that aligns well with all related STEM programs. 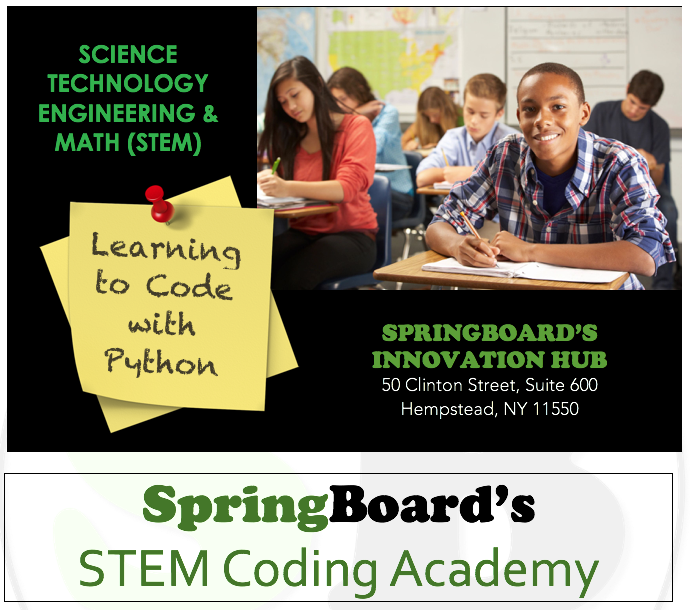 SpringBoard Incubators Inc. is an organization that provides workforce development and business acceleration. SpringBoard Innovation Hub provides virtual office spaces, high-speed internet access, private meeting rooms, desks space, collaborative areas, and large co-meeting rooms. We provide mentoring for startups, business development workshops, and access to a wide network of support services. Our startup and tenants can expect the constant dissemination of relevant information providing guidance and insights for marketing and growing their business. 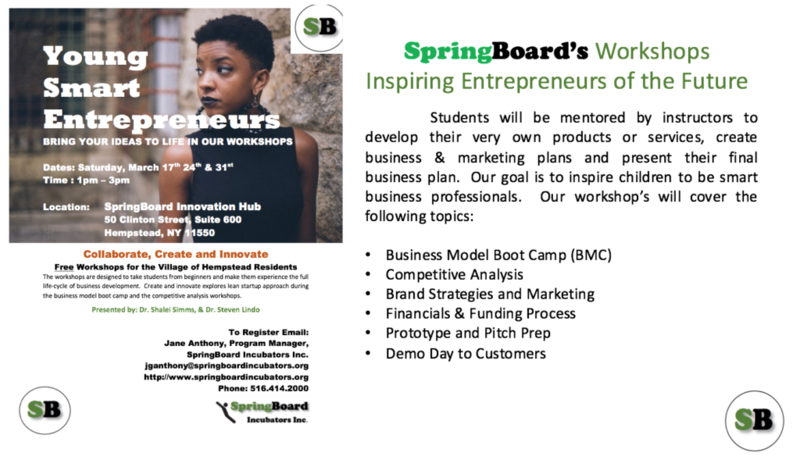 Schools and Universities can also benefit from SpringBoard's many workshops geared to understanding how technology can be harnessed and used as a vehicle to drive a successful business. Please provide the following and our team will be in touch.